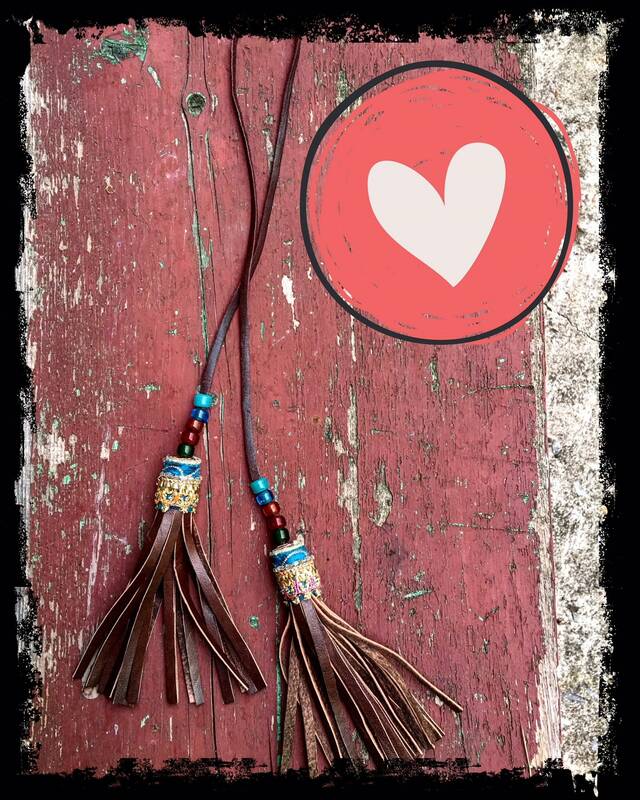 Adorable tassel charm made of chocolate brown genuine leather, decorated with vintage sparkling silk trim and colorful Native American glass crow beads. 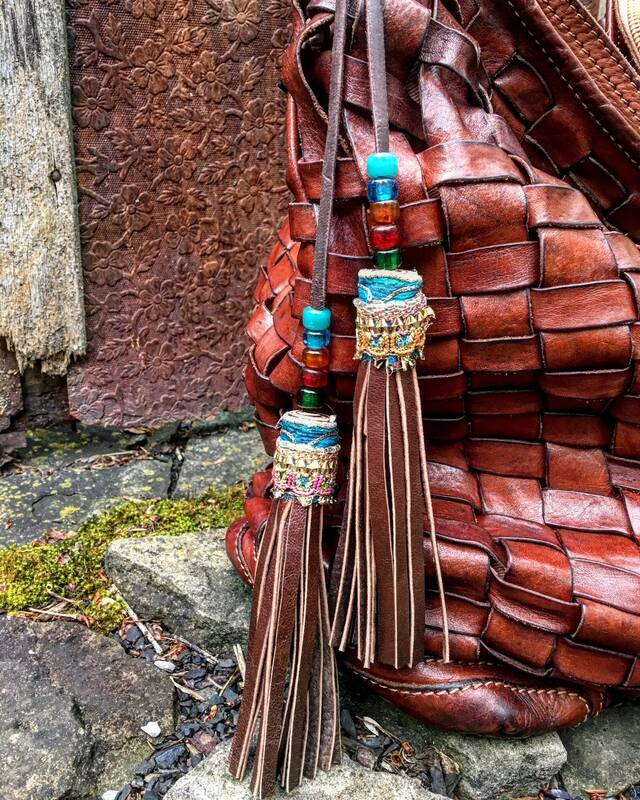 Hand-cut fringed accessory for your shoulder bag or tote. 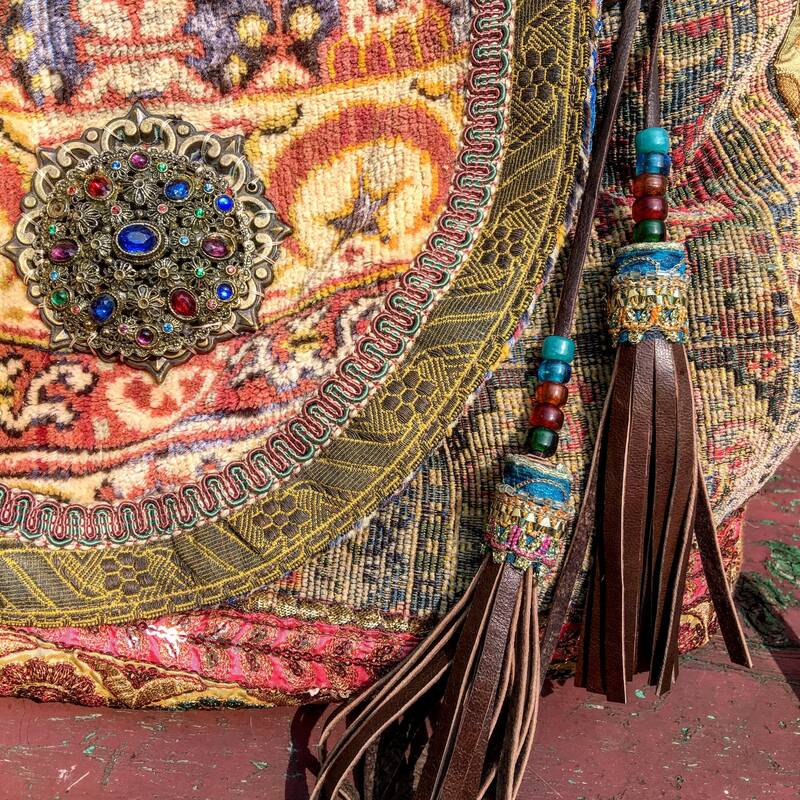 Includes 2 tassels. 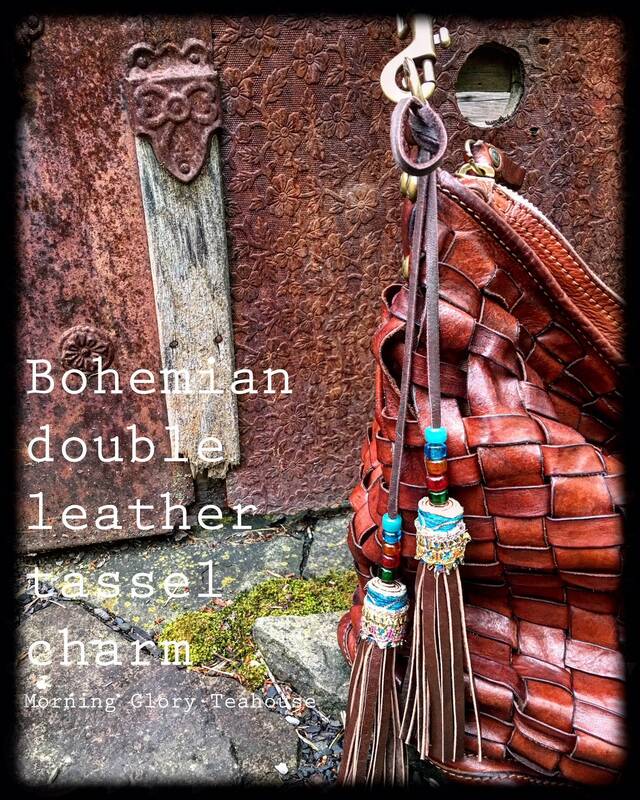 Total bag charm length, including 2 tassels, measures approx. 32.5" long. 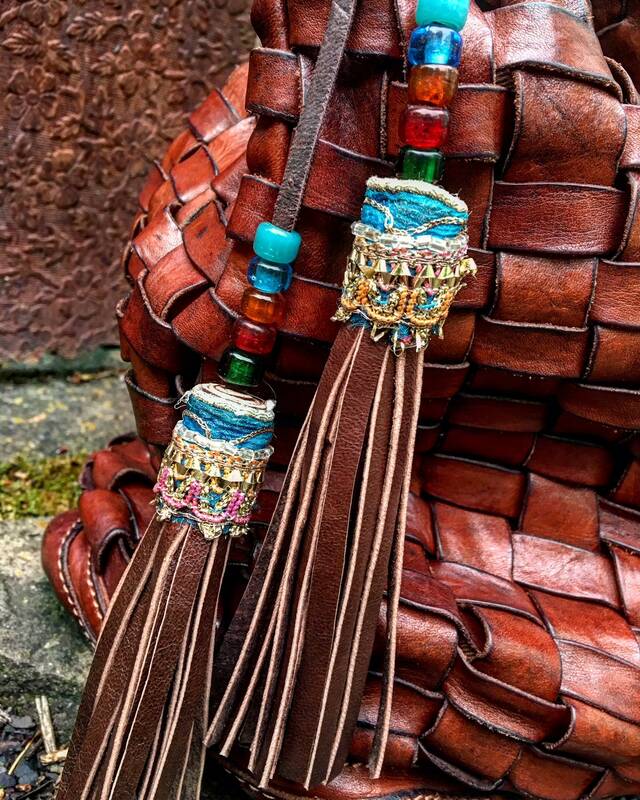 Each leather tassel measures approx. 5" long. Simply ties around shoulder strap (no clip included), or hangs from metal hardware to decorate your bag! 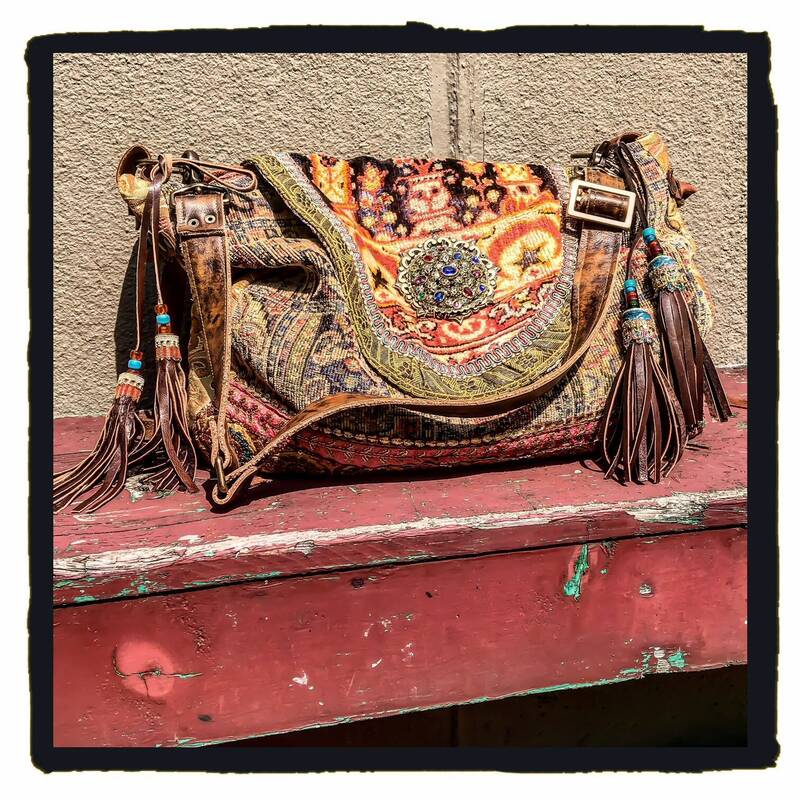 Please note - leather shoulder bag displayed in photos is not included in this listing. Please contact us if you're interested in creating a custom order request for your own original bag.